The 2019 Any Year Calendar is everything you need to keep your year nice and organized. You might know the pain of spending money year after year because you always need a new calendar. The 2019 Any Year Calendar makes it simple and easy to convert to this all-in-one template that allows you to change the years as you see fit. You never have to buy a new calendar ever again. The best part is that the 2019 Any Year Calendar is absolutely free. There’s no sign-up or fee. 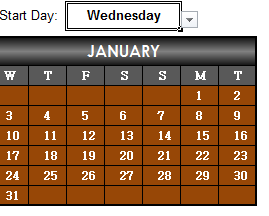 All you need to do is click one link and you have the last calendar you’ll ever need right here on your computer. So what are you waiting for? Get started today by following the set of instructions below. The first thing you need to do is click the link at the bottom of this page to download the free template to your computer. Once you have the 2019 Any Year Calendar downloaded, open the sheet and follow the instructions below to set up your free template. You will need to enter the current year at the very top of the age. You can do this by clicking the large “2018” header and entering the current year instead. This will automatically adjust and change the dates you see below. The next thing you want to do is choose the custom start day that begins each month of the yearly calendar. We have it defaulted to Sunday, but you can change this to any day you want. For example, see how the template changes when we set the start day to Wednesday. Once you have all these settings selected, you’re ready to start your year. You can even print the sheet so you have a handy calendar wherever you go! 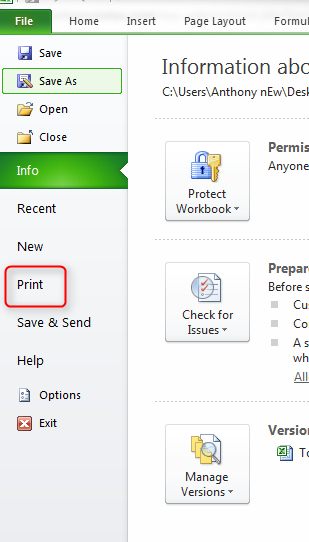 All you need to do is click “File” then “Print” at the top of your opened document. Get started by download the free 2019 Any Year Calendar today.